Online visibility is as important as a customer is to a business. Clients need to see the presence of a company and access as much information as possible. Our company strives to give businesses the best online presence so that clients can establish the existence of their products. It is always good for a company to be exposed to as many people as possible to maximise profits through the increase in traffic; which is done through digital marketing. The content that graces a website should be of top-notch quality, clear and straightforward. 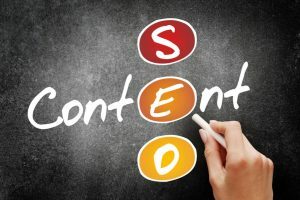 Search engines such as Google have set guidelines that every content creator should follow, for articles to rank at the top of that list. The SEO concept emphasises the use of appropriate words for the website. The type of keywords and the keyword density contribute significantly to content creation. We seek to provide our clients with services that resonate well with their products and increase traffic to their sites hence lead to an increase in sales. Making profit for any company is always a welcome idea and as a company, growth, and development, is our main agenda through digital marketing. The layout of a website goes a long way other than just looking pleasant to the eye. The products that are on sale need to be presented in a way that exhibits their best features. The display pictures should tell the story as it is. Matching products with well-presented articles show that the seller is putting in the effort in his or her products. It draws in readers if it is well spaced and does not strain the eyes. Articles should be accompanied with appropriate graphic images. The images should be of good quality, and we encourage investing in a professional photographer. Professionalism is one way of instilling confidence in the visitors that frequent the company’s website and through that, the company will be oozing positivity. There are many ways of informing the public about specific services, and social media platforms are a sure bet. The platforms are no longer useful for posting personal things or details, but businesses have taken their services online for all to be informed. Platforms such as LinkedIn, Facebook, Instagram, and Twitter have more than 2 Billion users, and that is a reasonable basis for exposure. When a company wishes to engage in a product campaign, we come up with different strategies to cover as many people as possible. Campaigns usually take a specific period of time, and we aim to accomplish the set goals within the same. Punctuality, as well as budgeting, is done immaculately. We ensure that your online presence is strong and at an all-time high. Visibility for any client is guaranteed through proper marketing. Advertising services and products draw in more clients and also introduce the products to new customers and potential clients. A website needs experts that will bring profits to the table and build up the reputation of the company. We aspire to increase sales of our clients and ooze positivity in all our endeavours.